Exhibition catalog of Shevchenkiana from the collection of Volodymyr Iatsiuk. National T. Shevchenko Museum, July-September 2011. – K .: Criticism, 2012. 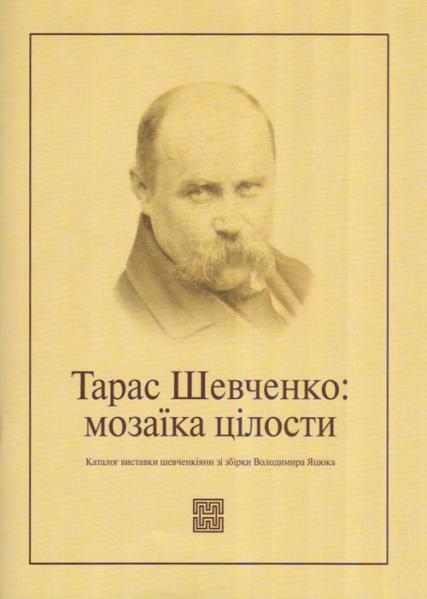 – 49,  p.
The catalog was co-sponsored by Krytyka Institute and the Scientific Society Society’s (USA) in commemoration of Taras Shevchenko’s 200th anniversary of the birth and as a component of the Society’s Jubilee project.